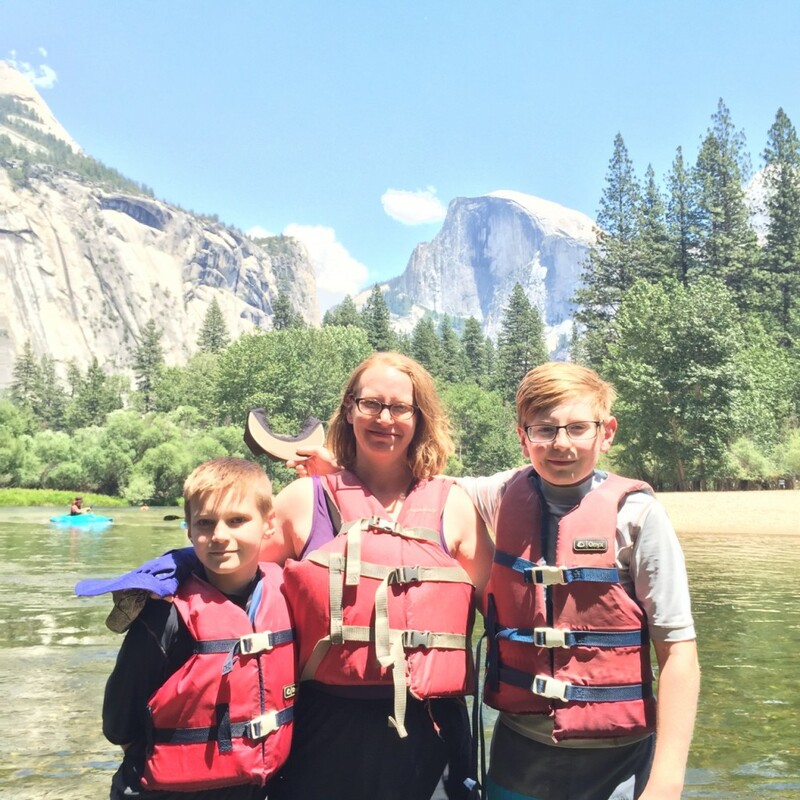 My 11-year-old son, Sam, says his favorite experience this year was rafting the Merced River in Yosemite, which is where we discovered he was a river rat. Though my husband loves canoeing, it’s not something we have done as a family after a memorable trip when a 3-year-old Sam howled in terror for the first 15-minutes of the trip. We almost didn’t raft in Yosemite, but I’m so glad we did because it ended up being a highlight for us all. When asked why this was his favorite, Sam said it was really fun getting to hop out of the raft into the water any time he wanted. Runners Up: Spray painting cars at Cadillac Ranch, and doing handstands at City Garden in St. Louis (which never made it on the blog). 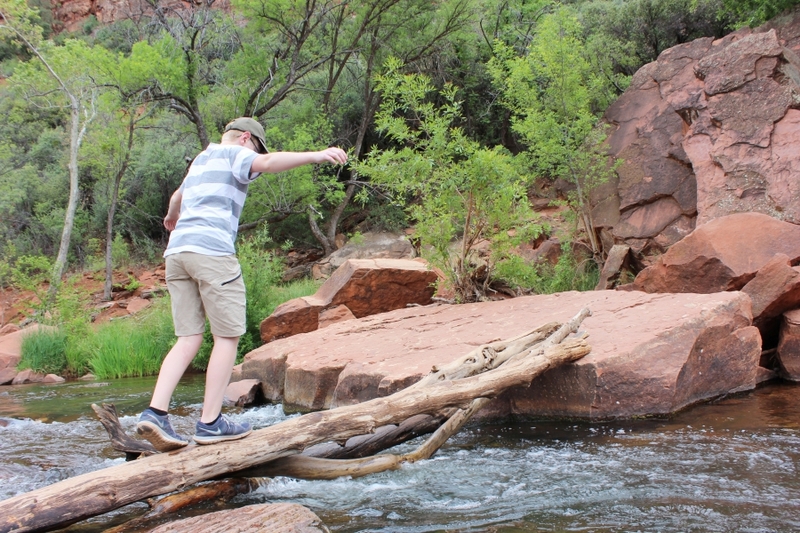 My 14-year-old son, Ben, said his highlight of the year was seeing Sedona, Arizona. He liked how the landscape was so different from home, and he says he really liked the light and the way things looked. He also liked the feel of the city. We’ve all decided we must return to Sedona in the future and do a lot more hiking and exploring in this awe-inspiring place. Runners Up: The big city of San Francisco and the little city of Santa Fe. Though our Birdy Goes West trip was mostly about visiting national parks, when we realized we’d only be three hours from San Francisco, my husband suggested we add it to our itinerary, and it didn’t disappoint. Russell said the city was his highlight of the year. He liked the weather, the people, the history, the ocean, and seeing places he had read about and seen in movies. For him, it was the complete package of a great travel spot with something for everyone. It was also more relaxing than our other stops. Runners Up: Exploring the landscapes of Sedona, Arizona, and seeing all of the interesting roadside attractions we stopped at along the way. 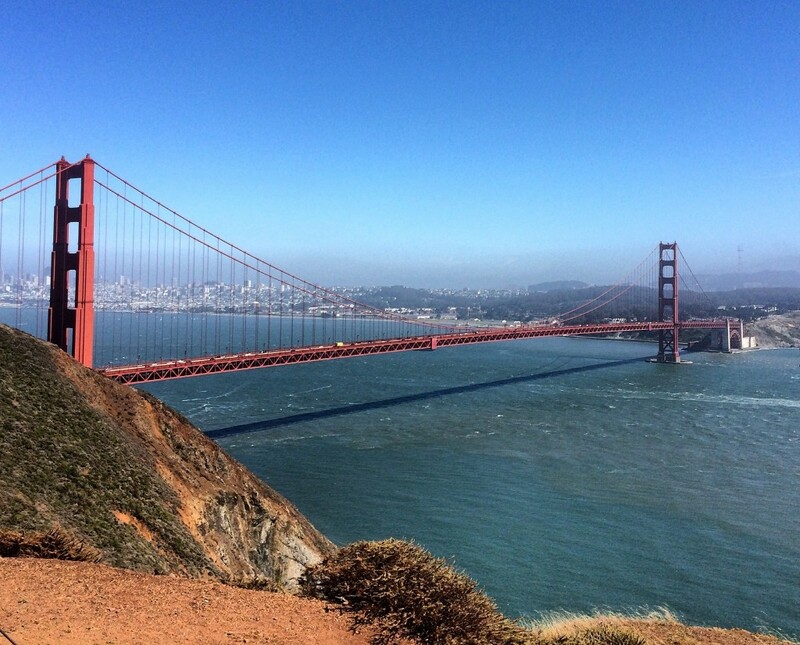 I had picked San Francisco for a different reason than my husband. 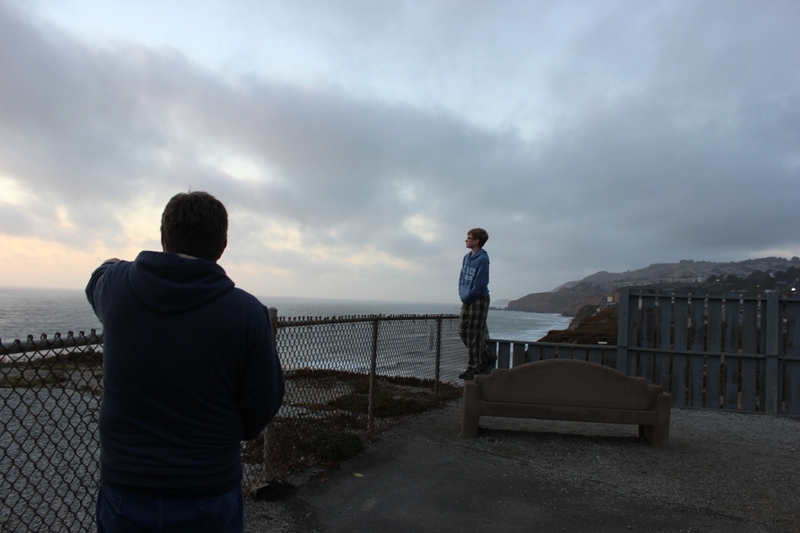 When we arrived at San Francisco RV Resort and walked to the end of the parking lot, my heart swelled as I looked out on the Pacific Ocean. We had hauled our travel trailer across the country for the first time, and we were standing at the absolute edge of the United States; the road could take us no further. It felt like a perfect book end of the trip West. Runners Up: Lying on my back looking up at the Redwoods in Muir Woods and looking out over Glacier Point at Yosemite (it is almost too beautiful to be real). Favorite National Park: Yosemite National Park So much beauty packed into one place. Eye candy galore! We wished we had more time to hike and explore. Favorite National Monument: Muir Woods National Monument This spot truly touched my soul. Favorite Museum: It’s a tie between the City Museum in St. Louis, which is crazy fun for everyone, and the Crystal Bridges Museum of American Art in Bentonville, Arkansas, which is a world-class museum right here in the Ozarks. Favorite Campground: Rancho Sedona Cool, convenient campground with a lovely creek. Favorite Nighttime Experience: Star Party at the Grand Canyon We were so glad we happened to be at the Grand Canyon during this event and chose to go; otherwise, we would have missed a cool experience. Favorite Local Hike: Glory Hole Falls in Arkansas We are lucky to live close to Northwest Arkansas which is chock full of great trails! Favorite Roadside Attraction: Hands down, it’s Cadillac Ranch! Scariest Experience: Tornado warning sirens going off while camping in Branson. 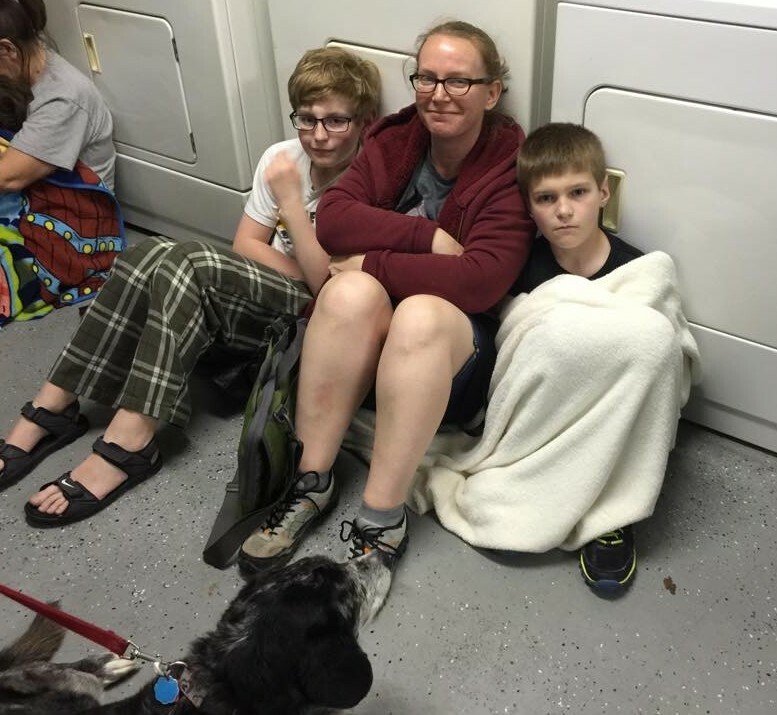 Luckily, they had a good tornado shelter. Biggest Inconvenience: Having a tire blow out in the Mojave Desert, which required a tire change, the purchase of new tires, and repairs to the tire well. This could have been worse, so I really can’t complain. Worst Campground: We actually left a state park campground in Iowa that didn’t have any curtains or doors for the men’s showers. 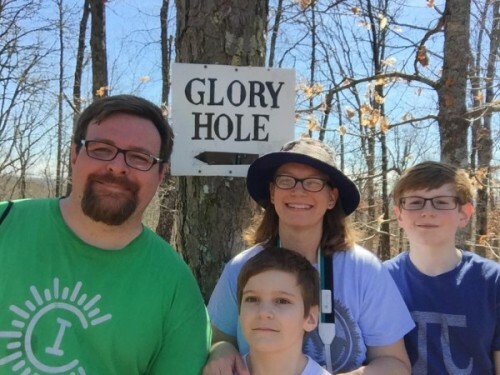 Not so family friendly! Biggest Family Failure: Going to McDonald’s to enjoy some air conditioning and ice cream instead of hiking at the Grand Canyon. It was really, really hot, and we were really, really tired, but I still feel guilty that we didn’t explore more. Inspired by RV Family Travel Atlas’s podcast episode about camping resolutions, here are my resolutions for the year ahead. Learn how to fully operate all components of our trailer. I’ve neglected to learn enough about the refrigerator, the propane, the water heater, and the tanks. Cook in the trailer more often. Our big trip was so fast-paced that I did not truly plan for the logistics of buying, transporting, and preparing food. I hope to do a better job in the future. Squeeze in more local trips. We managed to camp on all of our 3-day weekends. Next year, I’d like to be less fearful of planning weekend trips. Have another successful cross-country road trip! Yellowstone, here we come!! I think it is cool that we will celebrate the 100th anniversary of the National Park Service in the first place to be designated a national park. I’m hoping this trip goes as well as our first Birdy Goes West trip. Now, I just need to figure out what this trip will be called so it can have its own title and hashtag. Drop me your suggestions in the comments! So, that’s a wrap! 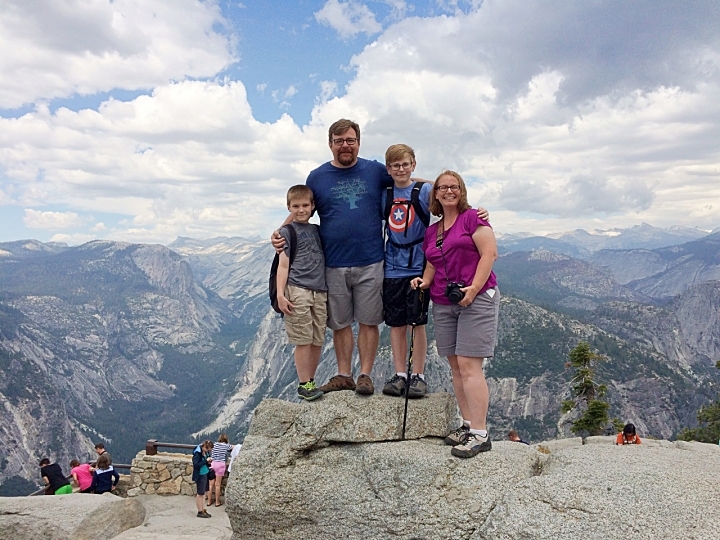 I hope your family had a great year of travel in 2015 and creates more memories in 2016! Posted in: All RV Things Considered, Places We've Explored. Tags: Tips. #BirdyGoesNotQuiteasWest? Yeah, I’m not very good at this, I’m afraid ;). You had an amazing year; can’t wait to follow along with this summer’s trip! Ha! I’ve considered #BirdyGoes(North)West, but that seems to imply Washington & Oregon. My actual favorite is #BirdyDoesYellowstone, but my husband isn’t sure that’s appropriate–ha! Wonderful 2015 lists of highlights, favorites, and lowlights! I read several of them to Laura. Wonderful goals for 2016.